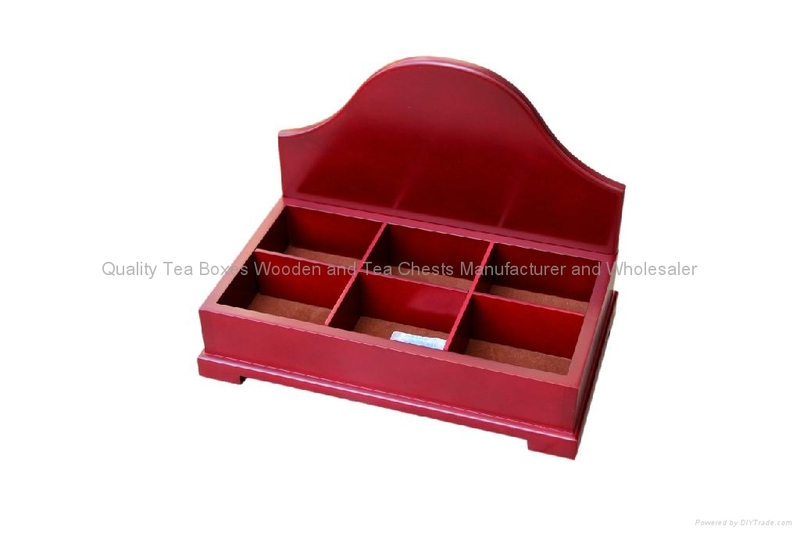 This attractive cherry finished tea display is made from solid wood with six compartments. Backside there is 200mm high display wall. On that we could print, emboss customer's logo. Or we could put a metal plate with customer's logo. Also this wall is removable for customer to be easier to take. Insde the bottom we line it with felt and outside bottom covered with felt as well. We take great pride in manufacturing the highest quality, custom made tea displays wood and tea chests & boxes wooden for each and every customer. We have the skilled workforce and expertise required to meet any and all of your wooden box needs.